Since the early 1720s, First Unitarian has been a significant community presence in Providence. Its landmark structures have been a source of pride, and its lengthy history has enriched the lives of many generations of members and friends. Like many Unitarian churches in New England, ours began as a Congregational Society. However, the circumstances of its organization are very different from those of congregations in Massachusetts and Connecticut. Seventeenth-century Providence was a haven for those whose religious views did not conform to the “standing order” in the other New England colonies. Providence’s earliest settlers included Baptists, Quakers, Seekers, and others who were unwelcome elsewhere. Consequently, Congregationalists avoided Providence during its early days and weren’t particularly welcome in the area. But by 1720, occasional missionary services of the “Congregational way” were being held in Providence by visiting clergymen. Despite a somewhat hostile reception from some in the town, in 1722 several ministers from nearby Massachusetts and Connecticut acquired a lot at what is today the southwest corner of Benefit and College streets. Our first meeting house was built on that site in 1723. For several years, clergy were supplied from outside the colony. 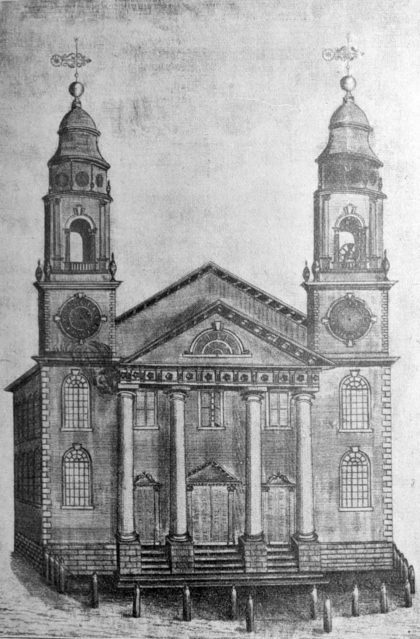 In October 1728, the First Congregational Society of Providence was officially established when nine men signed a covenant and installed the Rev. 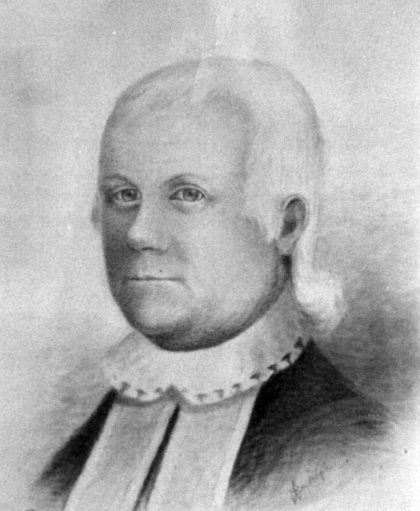 Josiah Cotton of Boston as the first settled minister. From its earliest days, the church manifested a liberal inclination. In the 1740s, at the time of the New Light revival, the congregation split over accusations that Cotton was preaching “damnable good works.” A decade later, our second minister, the Rev. John Bass (1752–58), came to Providence from Connecticut after being admonished there for not being a strict orthodox Calvinist. The church struggled for survival during its early years, as demonstrated by gaps in ministerial succession in that period. It made repeated appeals to Congregational conventions in Massachusetts and Connecticut for financial support. Pew rents were first instituted in 1763, and in 1770 the Benevolent Congregational Society was incorporated “for the purpose of raising a fund by free and voluntary subscriptions . . . for the support of public worship” in the church. Providence prospered as a seaport and manufacturing center in the decades following the Revolutionary War. With many merchants and industrialists among its members, the church flourished as well. Under the Rev. Enos Hitchcock (1783–1803), worship became more liberal when the congregation simplified the covenant and authorized open communion (1783-84), which was rare for the period. The Benevolent Society acquired new properties on behalf of the church, and our second meeting house was constructed at the corner of Benefit and Benevolent Streets in 1794-95. Ten years into the term of the next minister, the Rev. Henry Edes (1805–32), an arson fire destroyed this second meeting house. 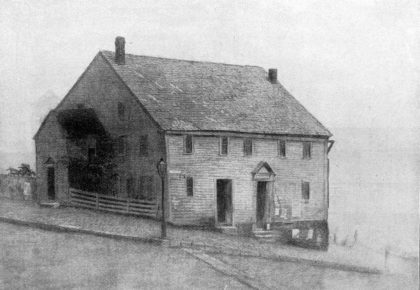 Our present Federal-style Meeting House – designed by John Holden Greene, Providence’s foremost architect and a member of the congregation – was constructed on the same site in 1815-16. Greene considered it his masterpiece. The church attained significant stature in the community during Edes’s ministry. By this time the congregation had identified itself with the Unitarian movement. The Rev. William Elery Channing gave the invocation at Edes’s installation in Providence. Edes was invited to and attended the celebrated ordination of Jared Sparks in Baltimore in 1819, at which Channing delivered his famous sermon that became Unitarianism’s definitive statement. In 1821, the congregation voted to eliminate all Calvinistic and Trinitarian references from the church covenant. Eleven years later, a brilliant ministry ended in disgrace. Allegations circulated that Edes had engaged in an improper relationship with a local seamstress. Although the accusations proved untrue, Edes was humiliated; he resigned and left Providence. The church was deeply disturbed by the incident. Amid these disheartening circumstances, the Rev. Dr. Edward Brooks Hall began a thirty-four-year pastorate in 1832, the third longest in the history of the church, that ended with his death. A descendant of the Rev. John Cotton, Hall studied at Harvard where Ezra Stiles Gannett and Henry Ware, Jr. were among his classmates. By marrying Ware’s sister Harriet, Hall became the son-in-law of the Rev. Henry Ware, whose selection as Harvard’s professor of divinity stands as one of the definitive moments in Unitarian history. The glowing praise in all accounts of Hall is astounding. He was a dedicated and sympathetic pastor as well as a fervent preacher, noted for his piety. Hall channeled his expertise, proficiency, and persistence into community work; his influence on the civic, cultural, charitable, and social justice organizations throughout the city was incalculable. 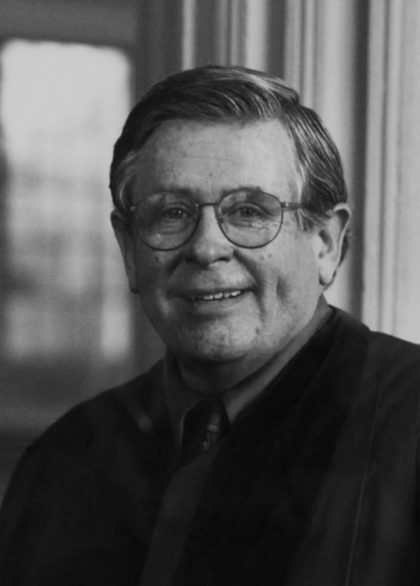 Among many others, he served on the school committee for twenty years and as a trustee of Brown University. He labored for temperance and the abolition of slavery. 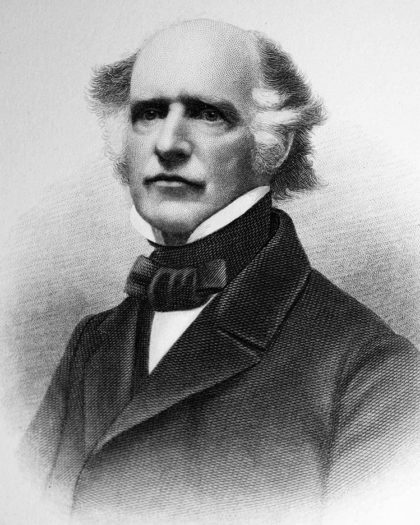 Outside Providence, Hall served as president of the American Unitarian Association and was a delegate to an international peace conference in Germany in 1850. Hall’s successors, able and worthy as they were, did not match his dynamism, and the next two decades appear to have been relatively quiet ones. The Rev. Arthur May Knapp served but three years, during which the chief accomplishment was the redecoration of the Meeting House interior in a high Victorian style that became generally unpopular by the end of the century. During the ministry of the Rev. Carleton K. Staples (1872–81), the construction of the present massive granite Parish House in 1875 was a major achievement. The Rev. Thomas R. Slicer, scholarly, quick-witted, and noted for his oratorical skills and broad knowledge of comparative religion, served the congregation for nine years (1881–90). Slicer wrote a covenant adopted by the church in 1882, which was not superseded until 2009; 1882 also saw the creation of the Women’s Alliance, which is active to this day. Yet many changes in the 1910s and 1920s began a modernization of the church. While a half-dozen funds had been created before 1900 to provide support for the minister, parish benevolences, and cemetery upkeep, the church’s principal endowments were bestowed in this period, including the Property endowment (1911) and the Sunday School endowment (1921). The year 1921 also brought the first church canvass, expressly planned to “be done in such a way that not only would the support be more generally distributed but the church enterprise would have a more democratic character.” A paid director professionalized the operation of the church school. Of significant architectural importance, the decision was made to commemorate the centennial of the Meeting House in 1916 by removing the 1868 Victorian decor and restoring the Federal interior. Only three senior ministers were called to First Unitarian in the twentieth century, continuing the tradition of long pastorates established by Dr. Hall and Dr. Lord. The ministry of the Rev. 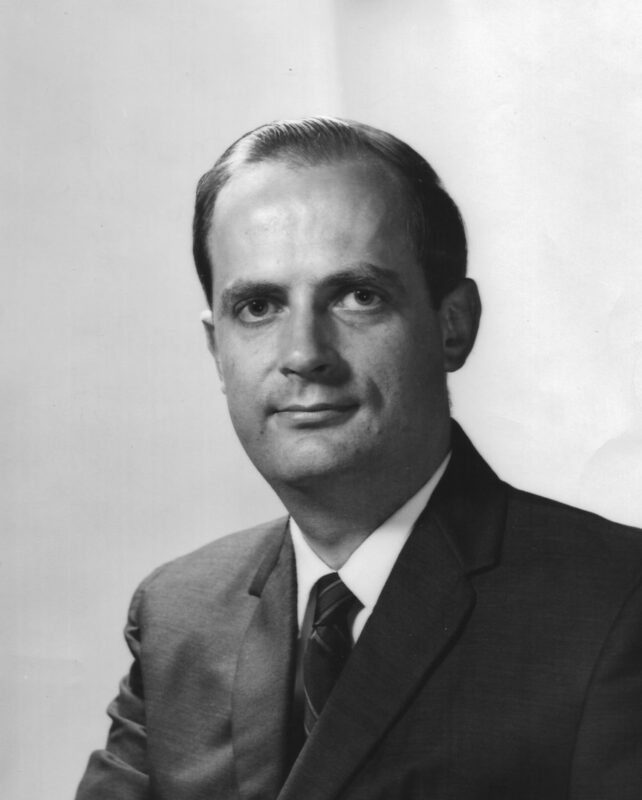 Dr. Robert H. Schacht (1931–68) was among the most significant in the history of the church. A long-time admirer of Albert Schweitzer, Schacht himself had a reputation as a warm, kind individual committed to humanitarian, civic, and social issues. He helped found the World Affairs Council of Providence and the Rhode Island State Council of Churches (from which First Unitarian resigned in 1973 when the RISCC charter was revised to grant voting rights only to churches that embraced a Trinitarian theology). In response to the diverse ethnic character of the nearby Fox Point neighborhood, the church sponsored an interracial Boy Scout troop for many years. Dr. Schacht’s long friendship with the Rev. Arthur E. Wilson of Beneficent Congregational Church and Rabbi William G. Braude of Temple Beth El fostered a long and productive interdenominational relationship among the three institutions unparalleled before or since. Substantial steps in the continuing modernization of the church occurred in 1953. The name was officially changed to First Unitarian Church of Providence; the Church and the Benevolent Society, previously independent organizations, were merged; and the prudential committee form of governance was instituted. The church school expanded considerably during the 1950s. Signing the covenant as a requirement for membership was eliminated in 1965. Beginning in 1953, the church hired a series of assistant ministers; Dr. Schacht was instrumental in bringing to the church the Rev. William Jones, then one of the denomination’s few African-American ministers. In 1955 the church purchased the property east of the Parish House in order to construct a new religious education wing, with classrooms, an office, and the Sharpe Memorial Chapel. In 1966, the Meeting House was again restored, for its 150th anniversary. Within a year, lightning struck the steeple; the ensuing fire and the water to extinguish it caused extensive damage to the sanctuary. Rebuilding efforts began immediately, and the Meeting House was quickly re-restored to the condition seen today. Older members of our congregation still fondly recall Dr. Schacht, who continued to attend the church until his death in 1978. His two sons are still members of the congregation. The Rev. 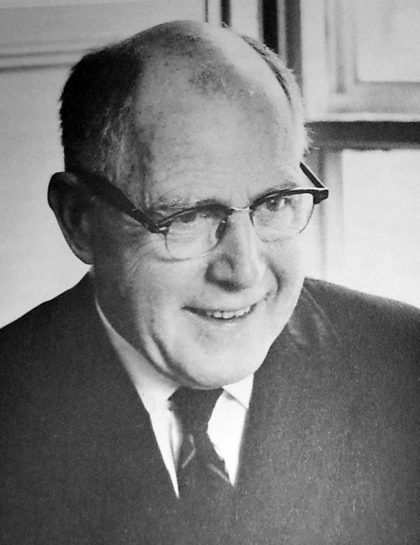 Brooks R. Walker, already a noted author (The New Morality, The Christian Fright Peddlers), received the church’s call in 1968. Eloquent preaching and helpful counseling characterized his first few years. His talents were also recognized by the UUA, which chose him as national vice-president during his tenure in Providence. After a time, however, rumors began to circulate of Brooks’s engaging in conduct unsuitable for a minister. When some of the rumors were revealed to be true, Brooks was asked to resign, which he refused to do. In February 1974 the congregation, expressing both sorrow and disillusionment, voted to terminate his services. The assistant minister, the Rev. 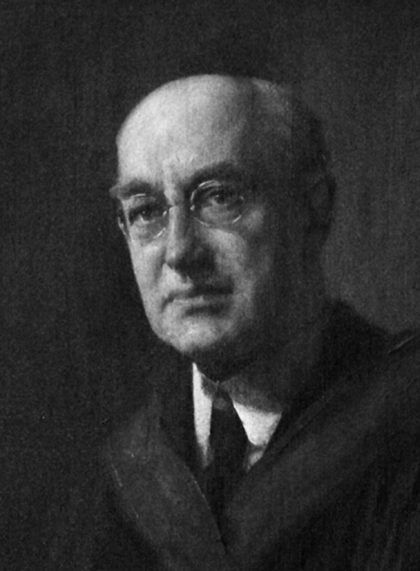 Randolph Becker, became acting minister until the Rev. Chadbourne Spring was hired as interim minister in January 1975. Spring’s diplomatic manner and charm helped to soothe the troubled congregation. The reverberations from Brooks’s ministry still echo, though subtly, in the church today; older members recall that time with dismay. Yet, despite the deep anguish over his behavior, which also took its toll on his family, Brooks’s ex-wife, Sandy, remained a valued member of the congregation for many years. In September 1975, the Rev. Thomas E. Ahlburn began the difficult task of ministering to a congregation still in distress. By the end of that first church year, the situation had improved immensely. Affable and fun-loving, Tom soon endeared himself to many. His lively pulpit presence and absorbing, thought-provoking, often humorous, often poetic sermons – or “talks” as he preferred to call them – drew back former attendees and attracted many new ones. His preaching remained fresh, insightful, quirky, and challenging throughout his twenty-five-year ministry. In 1978 Tom instituted a monthly spiritual concerns discussion that flourished for more than fifteen years. The sessions drew many people into the church and featured guests of various religious stripes; a popular and frequent visitor was Maha Gosananda, the spiritual leader of the exiled Cambodian community. Tom’s growing interest in and commitment to Buddhism during these years had a great impact on many congregants’ approach to spirituality. Nonetheless, his ministry remained inclusive and wide-ranging, encouraging many paths to spirituality. During his ministry the church more than tripled its membership. A staunch proponent of liberal causes and liberal religion, Tom vigorously supported both in a regular column in the daily newspaper, the Providence Journal, and became a major liberal voice in the state. His actions spoke as loudly as his words in support of many causes, such as women’s freedom of choice and lesbian-gay-bisexual-transgender rights. Yet, despite his personal advocacy on occasion from the pulpit, the congregation’s attention to social issues languished during his ministry. During Tom’s tenure, a number of associates, assistants, and interns served the congregation. The first, the Rev. Webster Kitchell Howell (1980–84), is easily the most vividly remembered. His energy and ingenuity reinvigorated the church school, and his zany antics sometimes shocked the more staid members of the congregation. The Rev. Ralph Galen and the Rev. Beth Ide had brief ministries with us in the mid-to-late 1980s. The Rev. Marcel Duhamel completed a highly successful internship at the church (1988-89) and was ordained by the congregation in 1989. In 1989 the church called the Rev. Corelyn Senn as associate minister. Her dual degrees in Religious Education and Divinity, her energy and intelligence, and her years of experience in both lay and ministerial work made her an ideal choice. With her support the church school flourished and was officially recognized for its growth by the UUA. During this time, Cathy Seggel became director of religious education and benefited greatly from Corelyn’s mentorship. Corelyn introduced First Unitarian to ceremonies such as the Water Communion and Flower Communion that have since become cherished traditions. By 1994, however, the church leadership had begun to question Corelyn’s ability to work collaboratively within the church structure and had received reports about unprofessional conduct regarding confidentiality. She refused an attempt to negotiate her resignation in early 1995. When word of this attempt was unofficially revealed to the congregation during a worship service, angry and baffled parishioners confronted the church leadership at congregational meetings and informational discussions. On recommendation from the UUA, the Metro New York District Executive, the Rev. Howell Lind, conducted an on-site review of the situation. He concluded that the Prudential Committee had acted appropriately in seeking Corelyn’s resignation. When she still refused to resign, the situation escalated as proponents on both sides became more vehement. A group of the past presidents was asked to reconsider the situation and in September 1995 reported to the congregation that they too believed the Prudential Committee had acted reasonably. At that point, Corelyn agreed to resign and left the church immediately; she subsequently resigned her ministerial fellowship. Some effects of that contentious period still linger. Over the next five years, the church grew and prospered. Sunday attendance increased. The church school continued to flourish under Cathy Seggel’s leadership, and she and Tom worked admirably together. The Rev. Peter Hart Newport served an internship here in 1996-97 and was ordained by the congregation in 2003. The office staff was upgraded by the hiring of a church administrator and a full-time bookkeeper in 1998. Annual canvasses brought a slow but steady increase in giving. Major repairs were made to the exterior of the Meeting House. Beginning in 1997, plans were developed to address the need for additional space for church school classes, church offices, and larger church gatherings including coffee hour and parish suppers. In 1998 the congregation approved an ambitious plan to demolish the 1958 RE wing and build a new three-story structure. In the spring of 1999, the congregation pledged just under $1.5 million toward the project. Tom announced his retirement in August of 1999 and performed his last service on Christmas Eve. Response to the somewhat unexpected news ranged from sorrow and disappointment to anger and anxiety. He reassured the congregation throughout the fall that the church would be fine and that he would be giving our next minister “the gift of his absence.” Tom and his wife moved to Vermont’s Northeast Kingdom where he died unexpectedly in 2002. The congregation privately published a collection of his poetry, Days of Wonder and Wild Honey, in 2005. Although many active church members have joined the congregation since 2000, Tom’s ministry still echoes, though more faintly, today. After an eighteen-month interim period, filled by the Rev. Richard Kellaway and the Rev. Elizabeth Kerman, the Rev. Richelle Russell was called as our fifteenth senior minister. Richelle arrived at First Unitarian during a time of challenge to both church and nation: the week of September 11, 2001. In the days and weeks that followed, she provided a sense of calm and centeredness, helping the congregation to come to terms with the tragic events of that day. During her ministry, Richelle drew our attention to the issues of marriage equality, universal access, and inclusion. These issues were deeply important to her personally, and as the first woman and first openly gay minister to the congregation, she helped us to see how they were also of great consequence to us as a faith community. She supported several innovations to First Unitarian’s spiritual life, including Small Group Ministry (now called Chalice Circles), and the regular practice of lighting the chalice. The new RE wing, with expanded offices and a spacious atrium, were completed and dedicated in the years of her ministry. As a congregation, however, First Unitarian had not worked through the emotions that the end of Tom Ahlburn’s long and successful ministry engendered. Not having done the work of grieving, the congregation was not truly ready to attach to a new minister. Attendance began to decline, and there was a growing sense that the fit between minister and congregation was not ideal. After much work and soul-searching on both sides, Richelle announced her resignation in the spring of 2004. Under the guidance of Interim Minister the Rev. Diane Miller (2004 and 2005), the church worked on the difficult issues of community, right relationship, loss, understanding our past, and facing the future. By the end of Diane’s tenure a strong sense of optimism and renewal was in the air. An enthusiastic search committee presented the Rev. Don Cameron with unanimous agreement, and Don accepted our call in May of 2006 to be our sixteenth settled minister. The 2006–07 church year was a remarkable time of conscious exploration and commitment. Record numbers of participants were attracted to two Saturday workshops to envision our future: one led by the Rev. Robert Latham, a second by the Rev. Tricia Hart. Several well-attended congregational conversations established priorities for future direction, recognizing that we had for some time been a program-size church. A stronger, more welcoming community able to provide spiritual comfort and social engagement to members and friends emerged as a high priority. A strong desire to be relevant and active in the larger community was also identified. Many were inspired by Don’s success in racially integrating his previous congregation and hoped he could guide us in a more inclusive direction. The Prudential Committee developed a new organizational plan designed to move toward mutual goals. Committees were divided into four core Ministries: spiritual development, community life, social justice, and stewardship/finance. As we prepared for the culmination of our year’s work at a church-wide meeting to develop a new mission statement, we were faced with an even greater challenge. It had come to light that many of Don’s sermons were not his original work. In the course of confronting him, more doubts were cast on his integrity and truthfulness. The congregation responded initially with disbelief; some clung to the hope that his ministry could be saved. Fortunately, Don recognized the need to resign. Many opportunities were created for the congregation to share their strong and sometimes conflicting feelings. Most of the congregation seemed ready to move on and establish a new ministry. Despite the blow to our trust that Don’s betrayal had brought, the increased sense of community that was nourished during the workshops and conversations remained. In 2008, thanks in no small part to the wisdom and wit of our next interim minister, the Rev. John Nichols, there was optimism in the air. The congregation and the search committee shared a sense of purpose and enthusiasm in our search. In May of 2008 the search committee presented the Rev. James Ishmael Ford as its chosen candidate, and the congregation called him to be our eighteenth settled minister. James Ford came to a congregation that had a healthy sense of who it was and strong lay leadership. This solidity had developed out of the major accomplishment of building a new addition to the church and working with a large number of short-term ministers. James quickly formed very good working relations with church leadership, partly because there was mutuality in their sense of purpose and partly because James spent time and energy getting to know the leadership. The Welcoming Committee changed its name on becoming part of the Standing on the Side of Love movement and adopted a primary focus on marriage equality; for the next four years, it actively participated in the statewide lobbying effort to pass a marriage equality bill in Rhode Island. They sponsored a formal vote of the congregation to endorse marriage equality, which was approved with only seven opposed. Marriage equality legislation finally passed in Rhode Island legislature in the spring of 2013. During this period, the Rev. Gene Dyszlewski, a UCC minister who was especially active in the statewide effort to pass marriage equality, became a Community Minister at First Unitarian. In 2014, the Rev. Gwendolyn Howard, a transgendered individual, was invited to First Unitarian as a Community Minister. James’s deep commitment to the cause of the homeless raised the congregation’s awareness of the plight of the local homeless community. Members of the church started a program to help feed and clothe the homeless in downtown Providence in collaboration with other churches in the city. James brought the Rev. Mary Margaret Earl to the church as a Community Minister to bolster the church’s effort to support the homeless. Mary Margaret was a major force in Rhode Island’s efforts to address homelessness and its harms to individual lives. Our Food Share Pantry, managed and staffed by church members, continued to expand and now serves over 150 clients each month. James was deeply engaged in promoting worship at First Unitarian. He founded and maintained a Zen meditation group and was a widely recognized member of the Providence Zen Buddhist community. His sermons frequently called on the congregation to recognize the interconnected value of the first (The inherent worth and dignity of every person) and seventh UU principles (Respect for the interdependent web of all existence). His sermons typically placed issues of human interest within a Unitarian tradition and structure. James also maintained a Facebook page, a daily blog, and authored two books while at First Unitarian. One of James’s early accomplishments was to promote a revision of the church covenant, unchanged since 1882. He convened a group of lay leaders who crafted a new covenant that was presented to the congregation and, after remarkably little discussion, was approved. James paid attention to fostering the financial health of the church, which few ministers in our past had done. He participated in the annual fundraising effort and was forthright about the financial needs of the church from the pulpit. He also worked to establish or strengthen several key committees, including the Membership Committee and the Lay Ministry. In addition, James accepted the role of COO in relation to the church staff, as designated by the Prudential Committee. James’s social activism was a communal expression of love; his services and sermons were expressions of love and kindness, and his personal interactions were equally characterized by kindness and love. When he retired, the congregation acknowledged his work by making him Minister Emeritus. 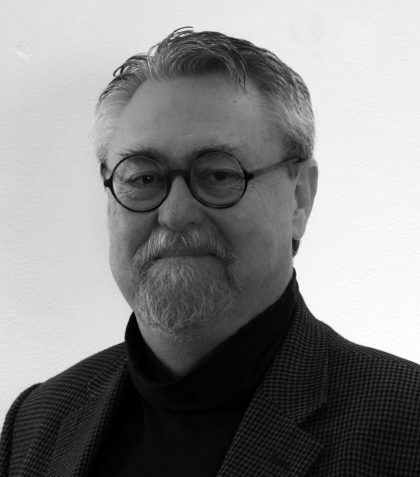 James announced his retirement in the spring of 2014 and left his ministry at First Unitarian at the end of the next church year, June of 2015. The Rev. Charles Blustein Ortman arrived in August 2015 to begin serving as our Interim Minister. What Charlie heard from a range of individuals and groups within the congregation was an aspiration to act on social justice goals beyond the walls of the church; a desire for greater cohesion, communication, and care within the congregation; and commitment to effective stewardship with reduced reliance on the endowment. Within a year, the congregation passed a motion brought by the Standing on the Side of Love and youth groups affirming that Black Lives Matter and pledging to action and self-education on racial justice. Resulting activities included the deacons organizing groups to read The New Jim Crow; parish supper speakers from local organizations committed to racial justice with follow-on participation in voter registration efforts; and the church hosting a blue ribbon panel presentation from the Rhode Island governor’s justice reinvestment committee. The congregation also became involved in ongoing efforts to pass the Community Safety Act in Providence. The same year, a dynamic Caring Network assembled to address the diverse spiritual and pastoral needs of a growing congregation. The annual pledge drive resulted in higher average pledges, and a capital campaign raised $1 million to maintain our 200-year-old meeting house. A year later, a team implemented the UUA’s Harvest the Power leadership development program. After a two-year search, the congregation called Rev. 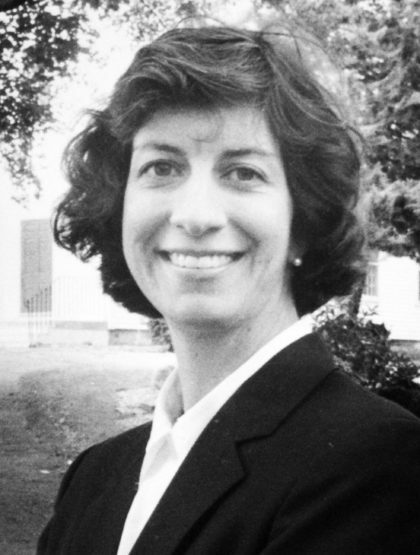 Elizabeth Lerner Maclay to be the eighteenth settled minister at First Unitarian with a nearly unanimous vote on April 30, 2017. She began her ministry at First Unitarian during the summer of 2017, and was officially installed by the congregation as our minister on October 22, 2017.